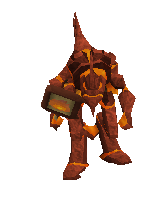 TzHaar is a city located underground of Musa Point, it has a rare selection of monsters that can only be found in TzHaar, Tzhaar is also home to 2 Activities! The Fight Pits and The Fight Caves. Not only that, it has a shop with a special variety of weapons and armour, a Gem and Ore store with two of the rarest gems. This is a member only city. You will be called by all the NPC's JalYt-Ket-[Your name]. 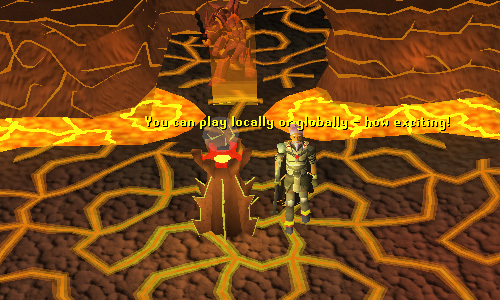 There are many various ways of getting to TzHaar, from Brimhaven, Port Sarim and lots of other places. 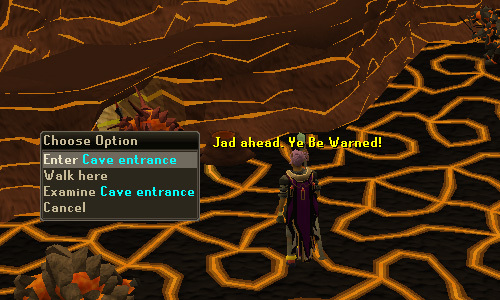 Enter the dungeon and you should find yourself near a rope and a small cavern, enter the cavern and you'll be in TzHaar. The green line represents the entrance to Tzhaar. The red line represents the entrance to the Fight Caves Activity. 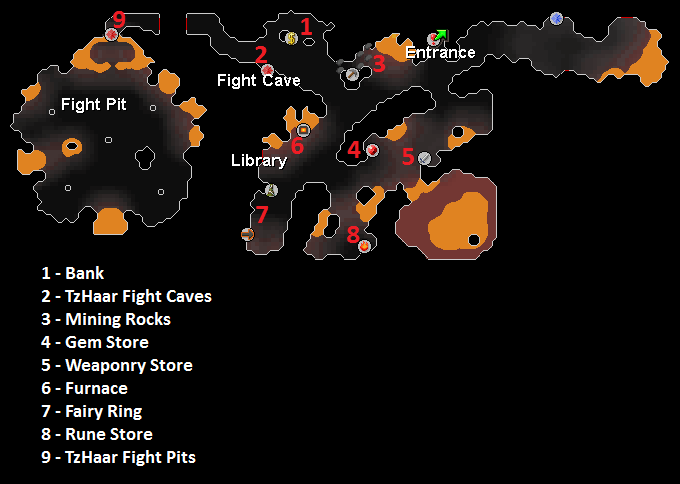 The bank is very convenient due to the Activities that are around TzHaar, including the The Fight Caves and the Fight Pits, its also useful for storing tokkul. It is run by TzHaar-Ket-Zuh instead of ordinary bankers. The Fight Caves Activity can be found directly south of the bank, its a game where you have to fend off monsters and eventually fight the strongest monster in the game! The level 702 Tzhaar Tok Jad. 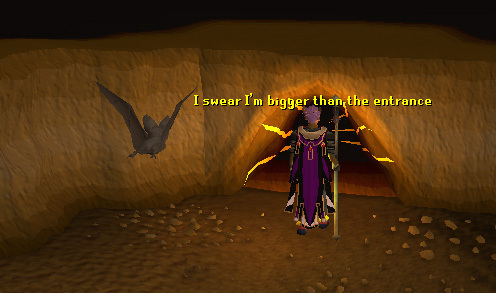 If you succeed in this challenge you will be given the fire cape, the only animated cape in RuneScape. This mine is slightly south east of the bank and consists of 3 Silver Rocks and 3 Gold Rocks. 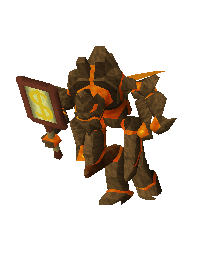 This rock is commonly used to halberd the various monsters of TzHaar. This store is the only place in RuneScape where you can buy the Onyx gem. 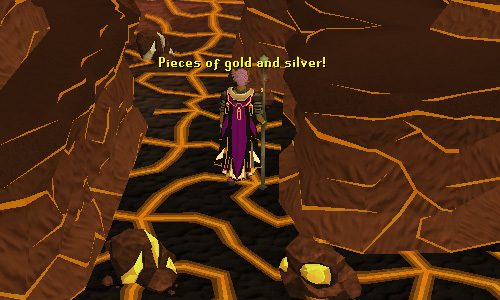 It is also home to the Dragonstone, and it sells ores ranging from Tin to Runite. This store is home to some unique equipment such as the Obsidian Shield (Toktz-ket-xil) which is very popular among players. 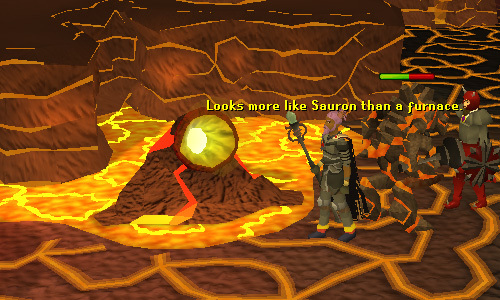 This furnace isn't like any other in RuneScape, its a lava forge, it still works the same as any other furnace but looks different. 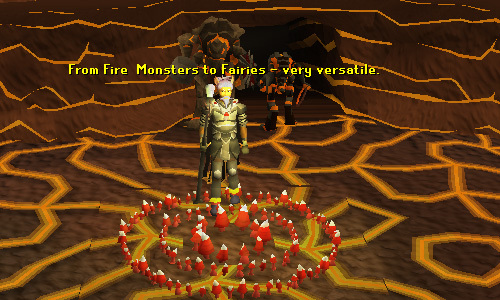 Fairy Rings are useful for getting all around RuneScape, there is one right in TzHaar, the code is BLP. TzHarr-Mej-Roh buys and sells a variety of runes in this store. 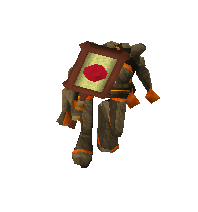 TzHaar Fight Pits is a last-man-standing game, the object of the game is to eliminate everyone in your path, you can team up with someone, but you'll eventually have to fight them. You will be rewarded TokKul for your hard efforts. While you're waiting you can even look into the viewing orb to see the current game. 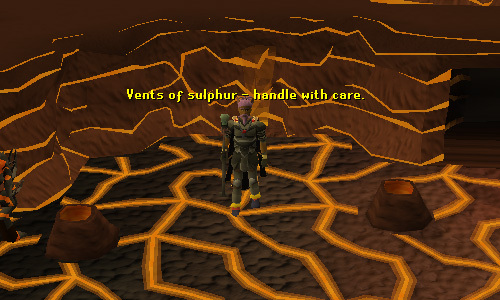 Although not marked on the map (they are all over TzHaar) these are a use to you in TzHaar, sulphur vents work exactly like ranges, they cook your food! The only catch is if you cook here your more likely to burn your food, the closest vent is around 15-20 squares away from the bank. 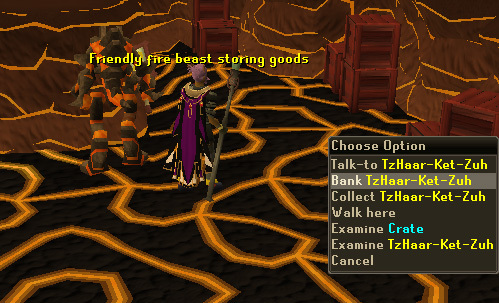 Kill Inhabitants of TzHaar and pick up the TokKul. Compete in the Fight Caves or the Fight Pits.